The story began very simply …. Roger Gillingham, the company founder, started a livery yard in 2005 and quickly discovered that horses create a lot of manure! As an ‘out and out’ entrepreneur he realised that there must be a market for well-rotted horse manure so after developing a method for creating a high quality soil improver, Wonderpost was born. Selling locally to gardeners and landscapers, Roger soon developed a fantastic reputation for Wonderpost Soil Improver - no surprise really as every gardener knows that good gardening begins with a quality soil, and as is so often said, “The answer lies in the soil”. Sales of Wonderpost have grown rapidly over the last 3 years and Roger now believes that the product has much more potential than just local sales from the ‘farm gate’ so he has teamed up with two other local businessmen Nick Garnett and Neville Stein to help develop the business. 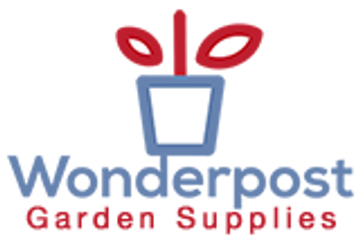 Under the name of Wonderpost Garden Supplies, our plan now is to offer our customers both locally and nationally a fantastic range of high quality and unique gardening products – all of which have been personally selected to help you get the most from your garden. So, whether you are looking to increase the yield in your vegetable patch, grow larger and healthier plants or indeed take the hard work out of gardening then we will have a product to suit you. Is your garden powered by Wonderpost?